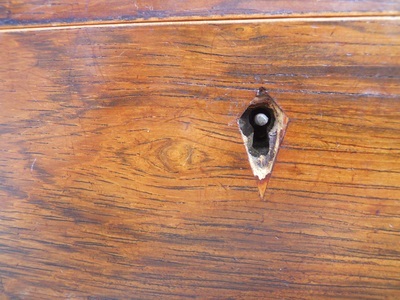 Sun bleaching reversed, Ivory escutcheon made and installed, split spliced with Rosewood and leveled out. 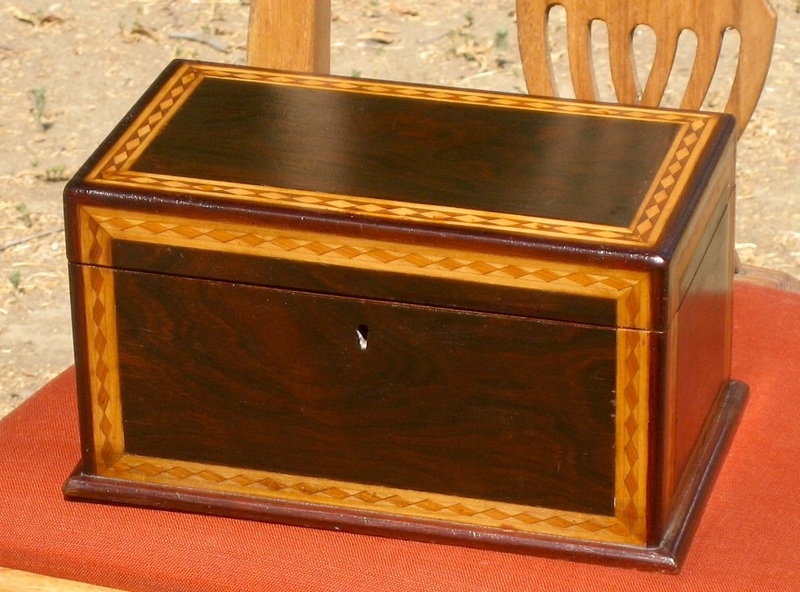 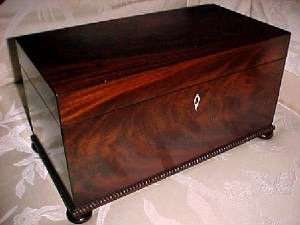 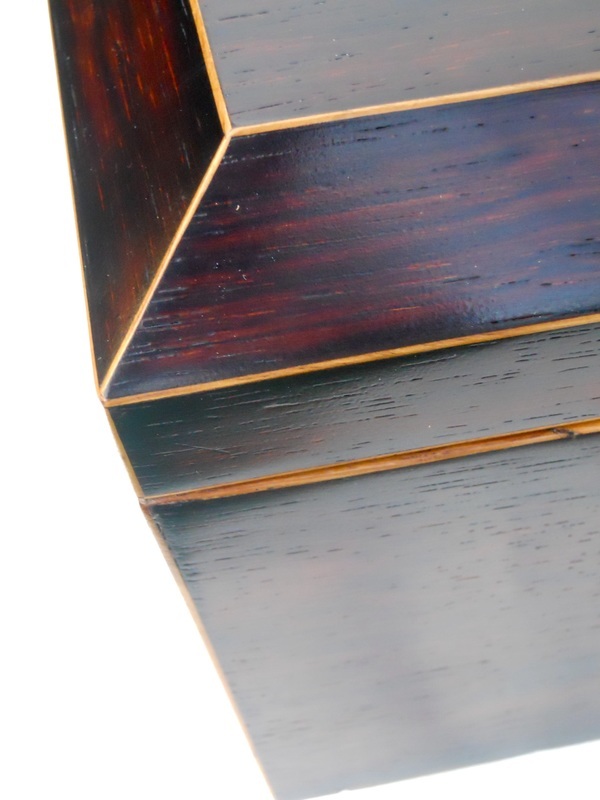 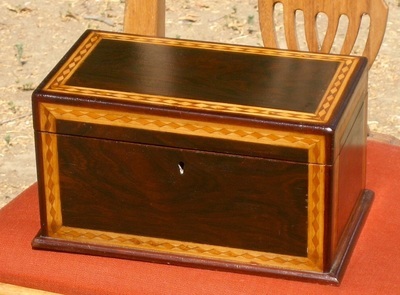 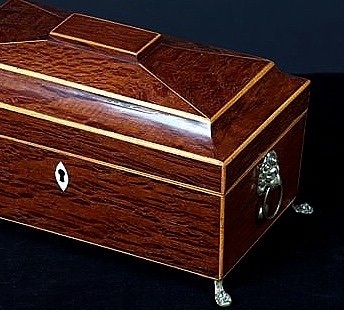 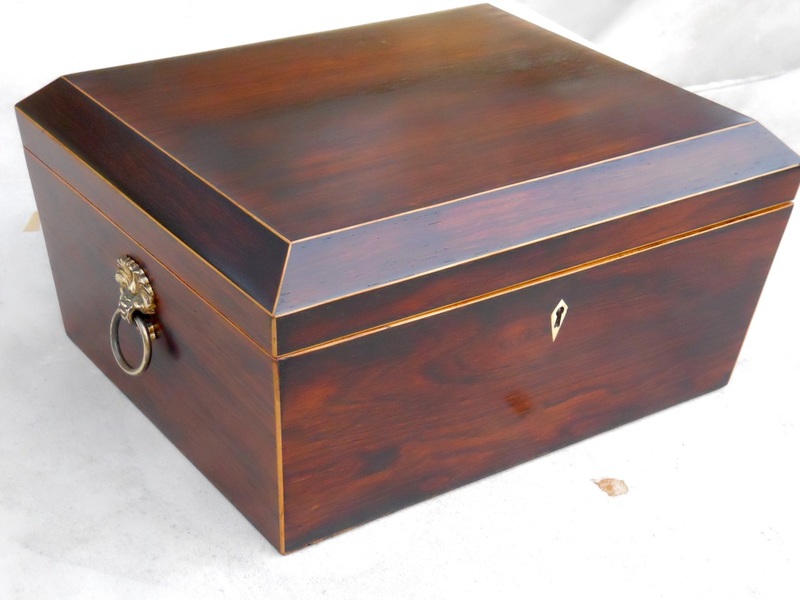 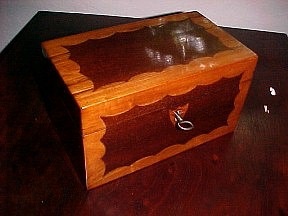 The missing Boxwood edging replaced and the whole box lightly polished with Shellac. 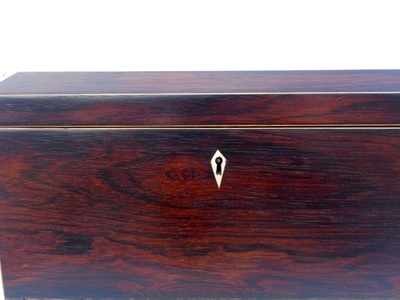 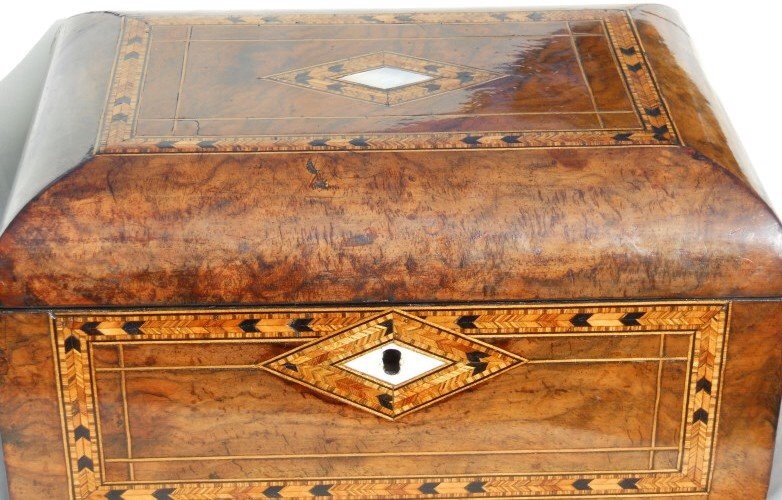 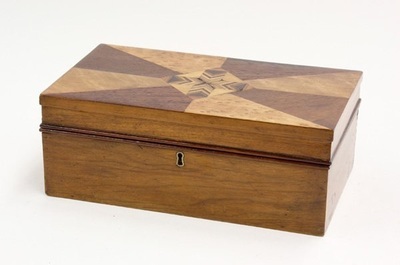 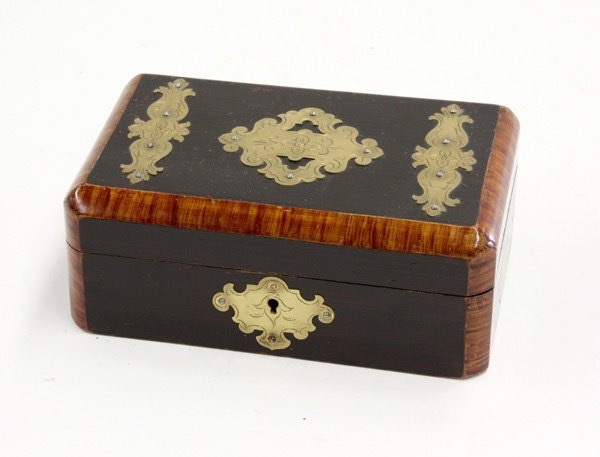 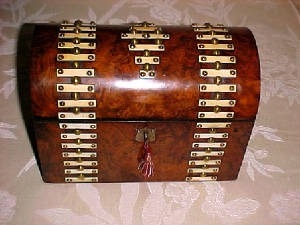 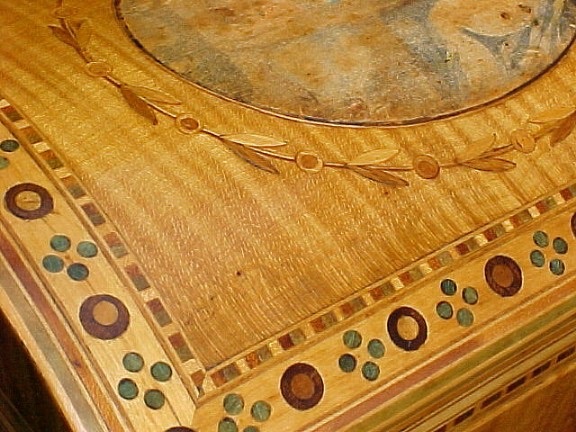 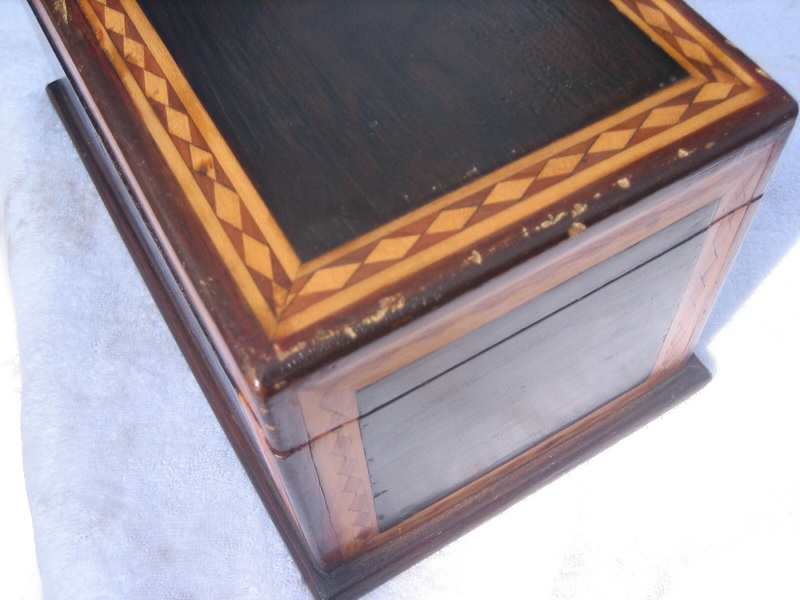 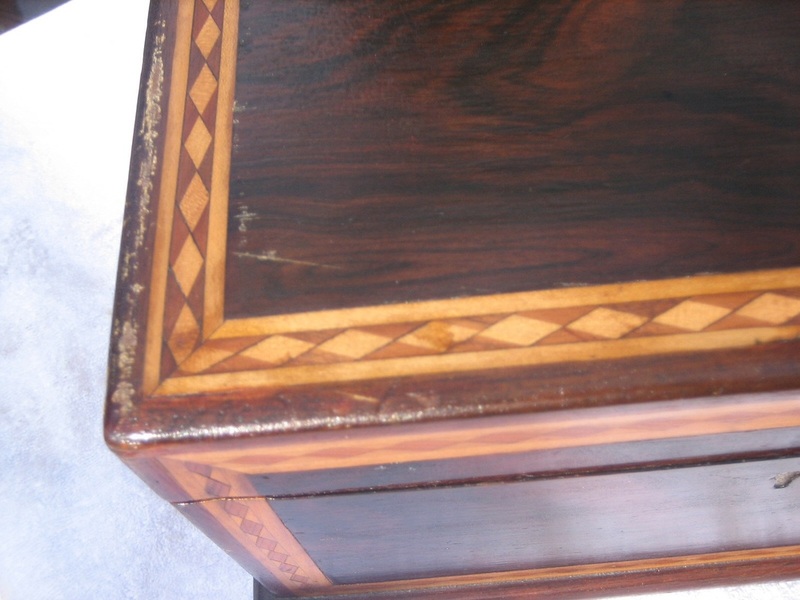 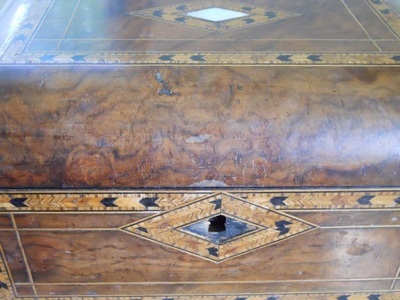 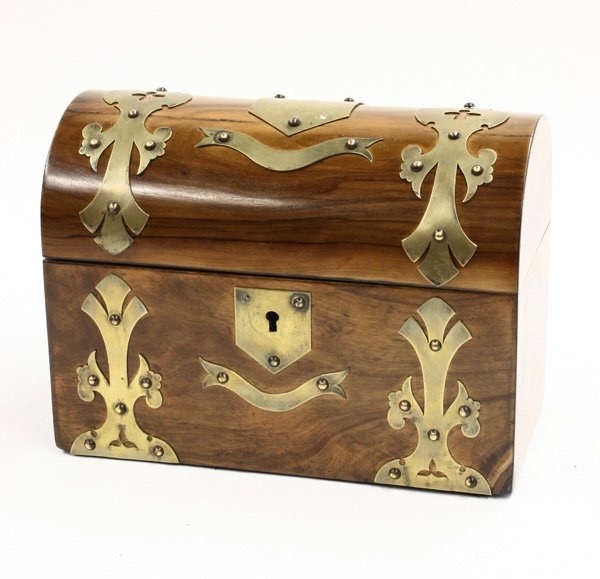 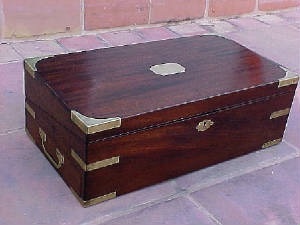 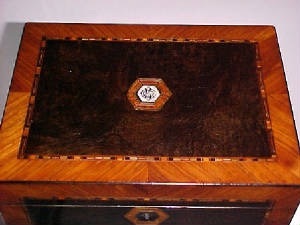 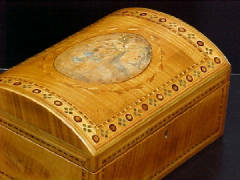 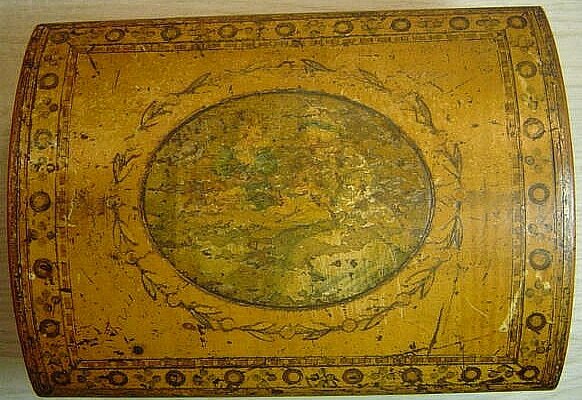 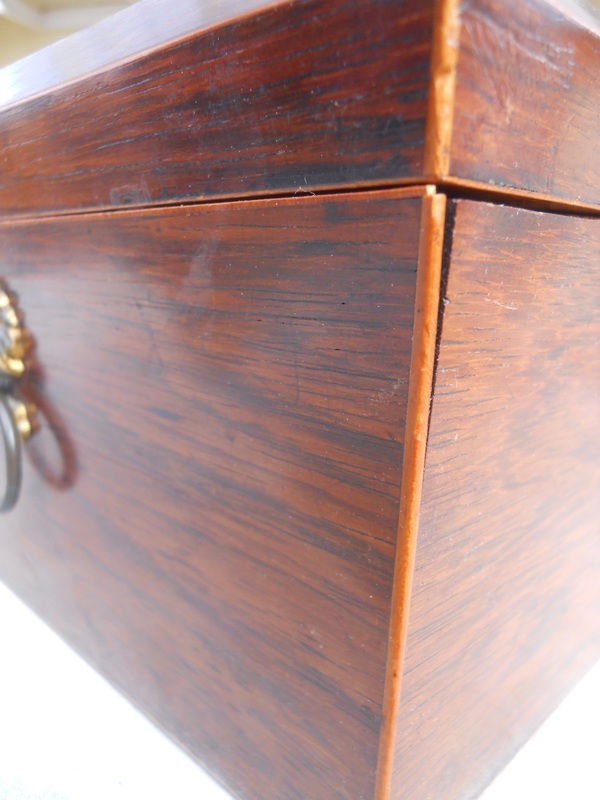 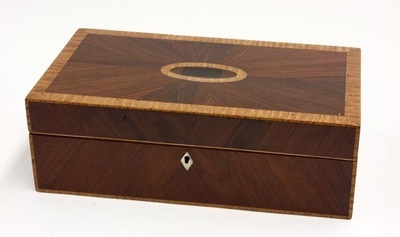 (left) English inlaid work box Circa 1850, missing Ivory escutcheon replaced and the case polished. 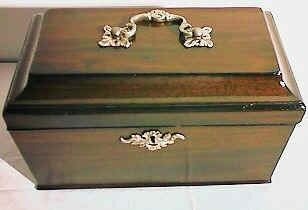 (right) George III Harewood lithograph mounted work box Circa 1795 before & after restoration. 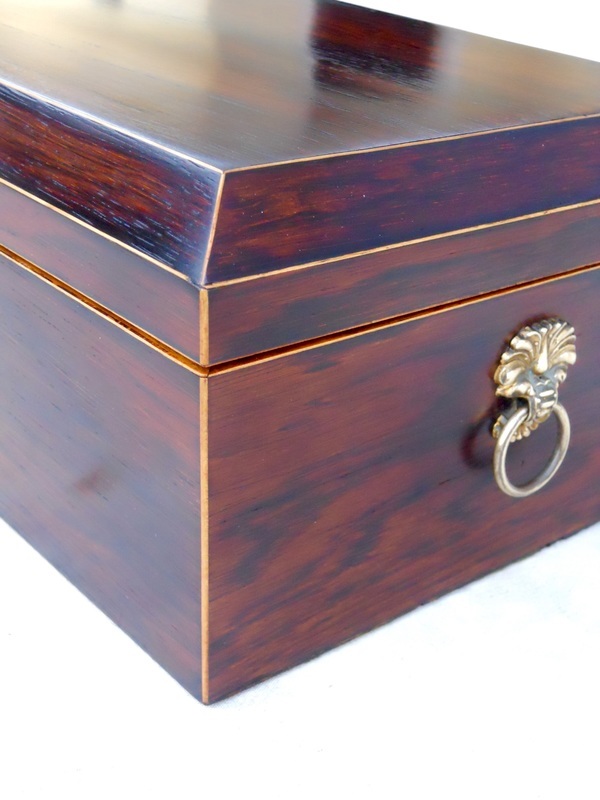 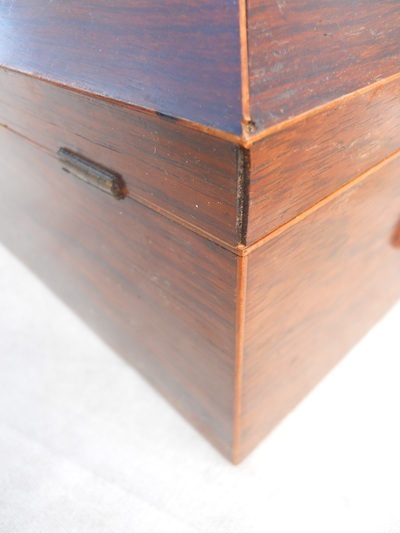 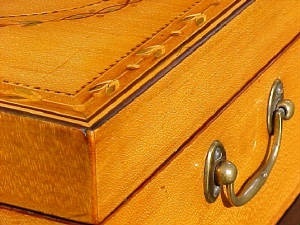 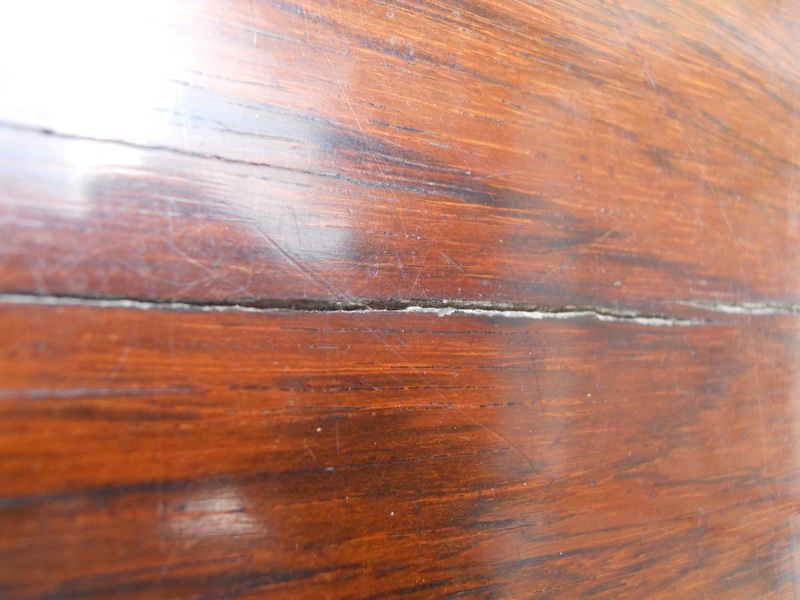 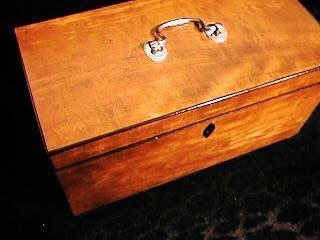 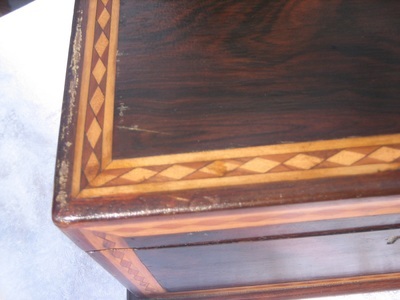 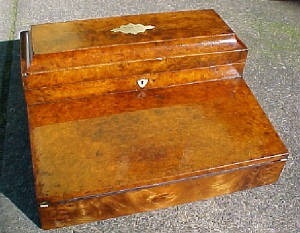 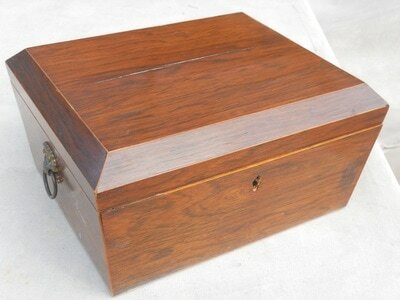 (left) Regency Satinwood Tea Chest Circa 1810, before & after cleaning & polishing. 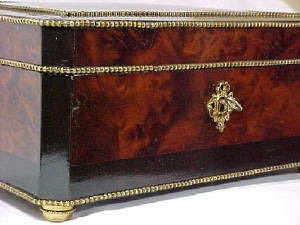 (right) George III Tea Chest Circa 1780 Bedore & after restoration. 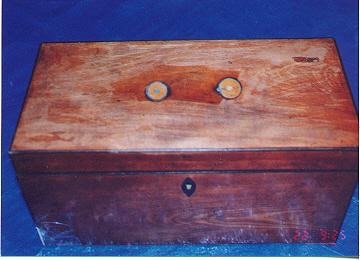 (left) circa 1760 German Tea Chest from the workshop of Master cabinetmaker ABRAHAM ROENTGEN. 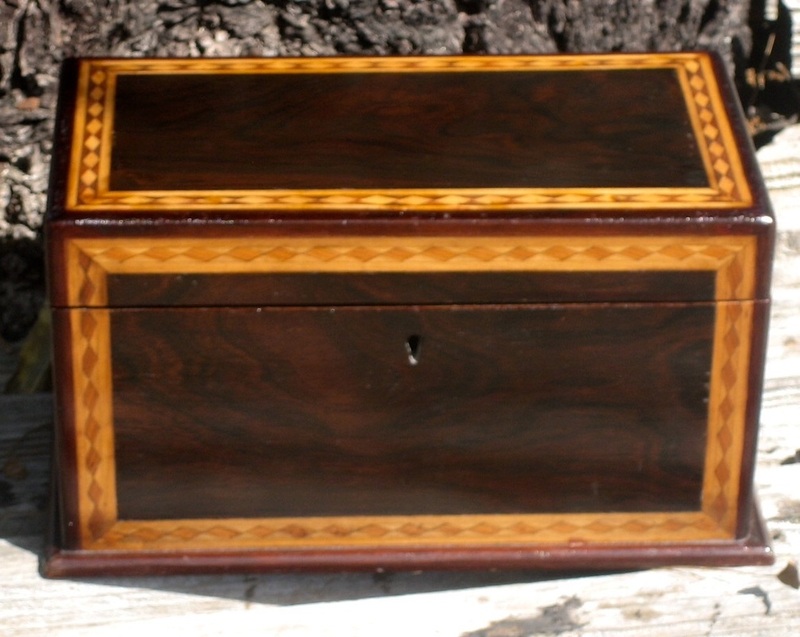 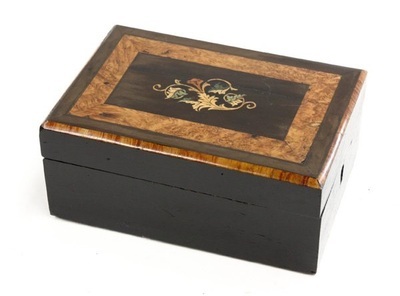 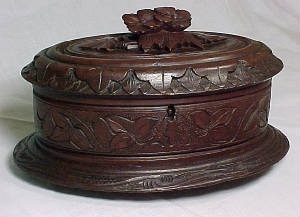 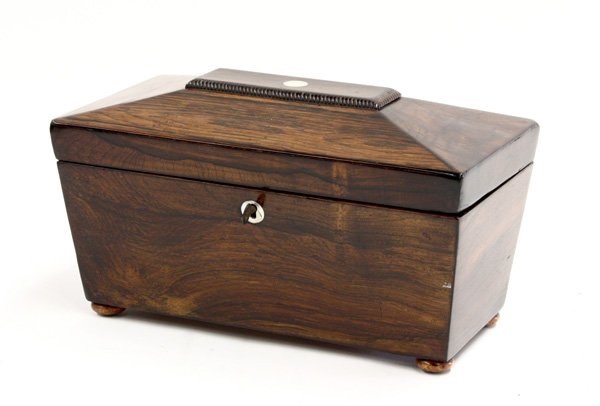 Folk art inlaid Rosewood box 19th Century, before and after touch-up to the scratched lid-and light polishing. 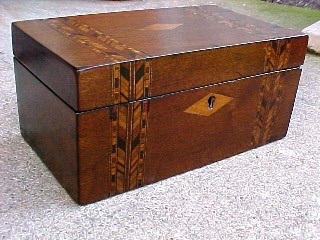 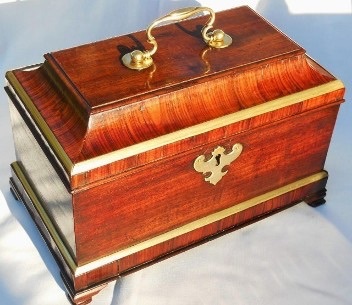 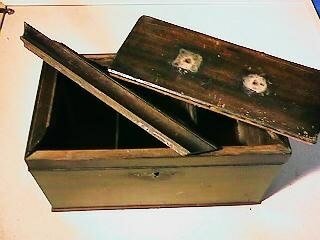 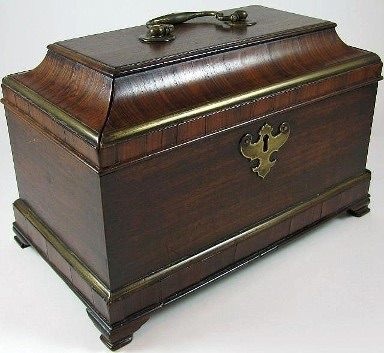 A selection of 18th & 19th century Century British, European & American boxes previously restored.